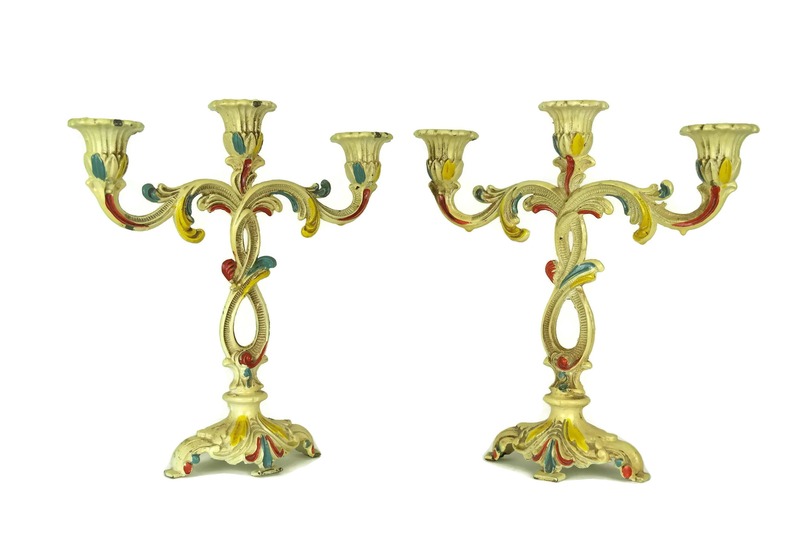 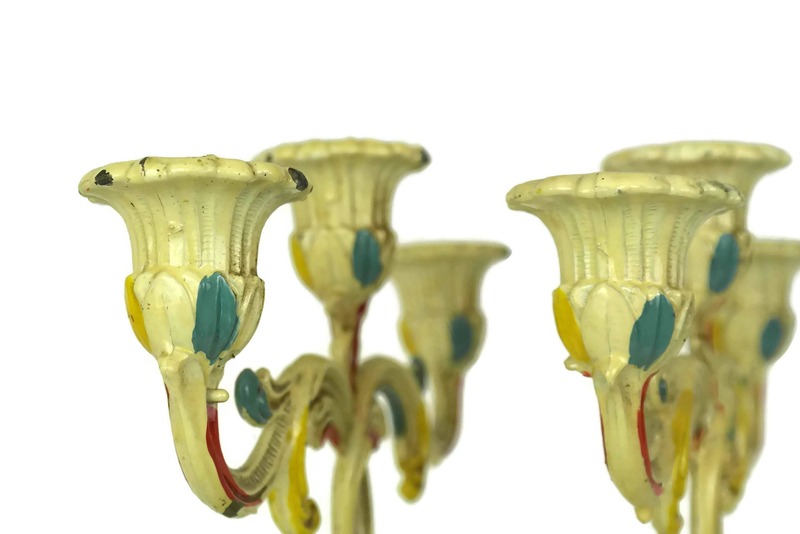 A magnificent pair of vintage Florentine candlestick holders in a classic Rococo design. 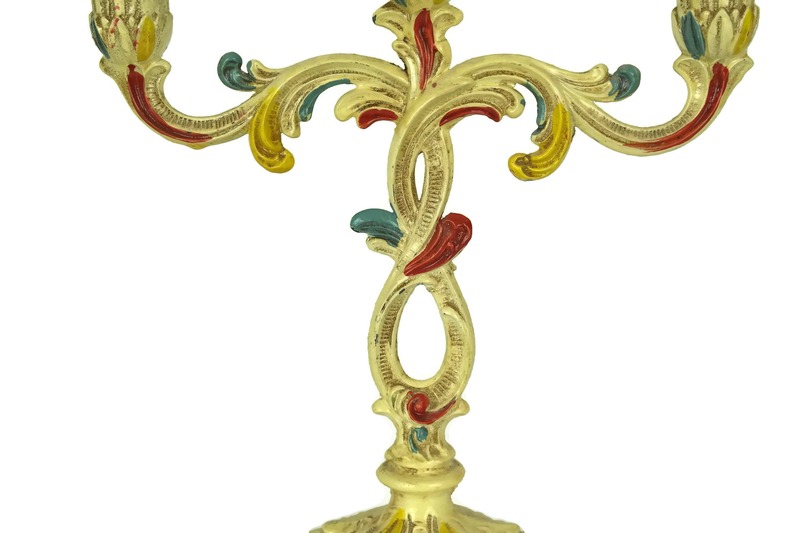 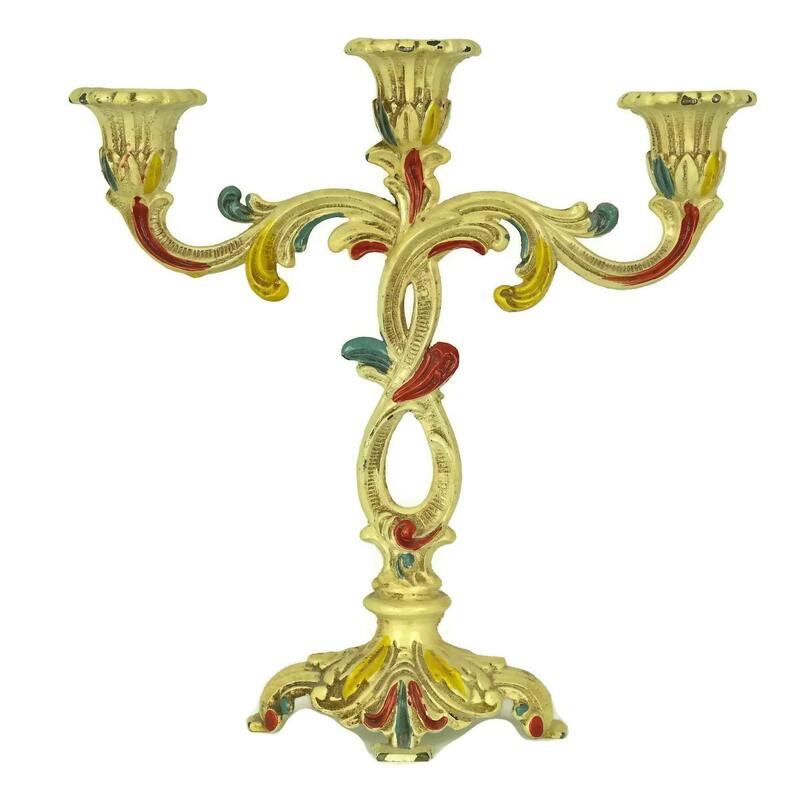 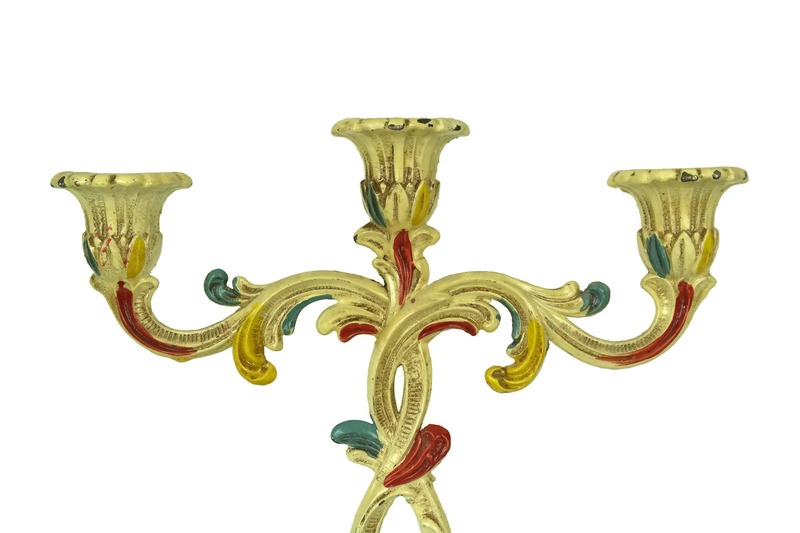 Each of the medium sized 3 branch candelabra has been cast from metal and decorated with enamel in shades of beige, red, blue and yellow. 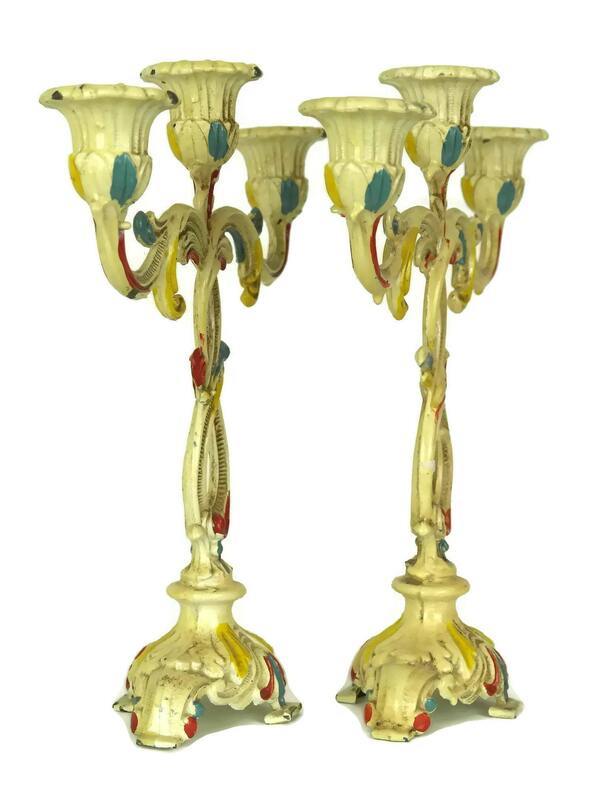 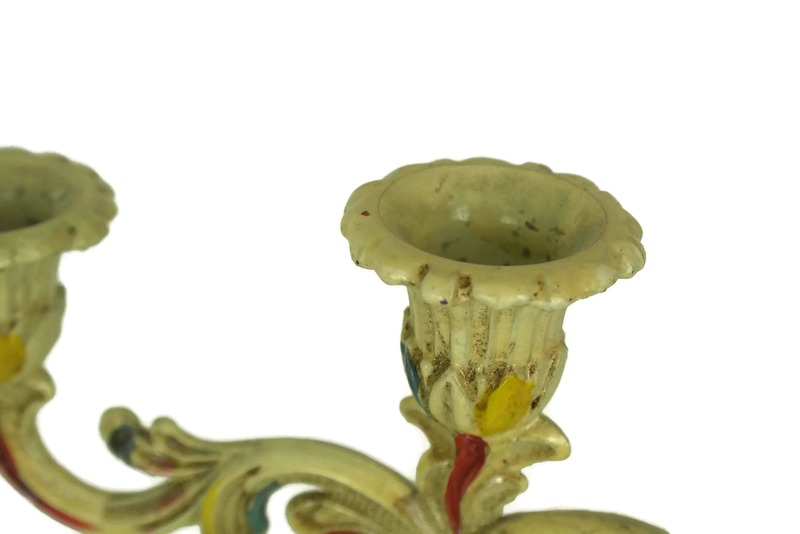 The ornate candle stands rest on footed bases and have deep cups for holding dinner table candles. 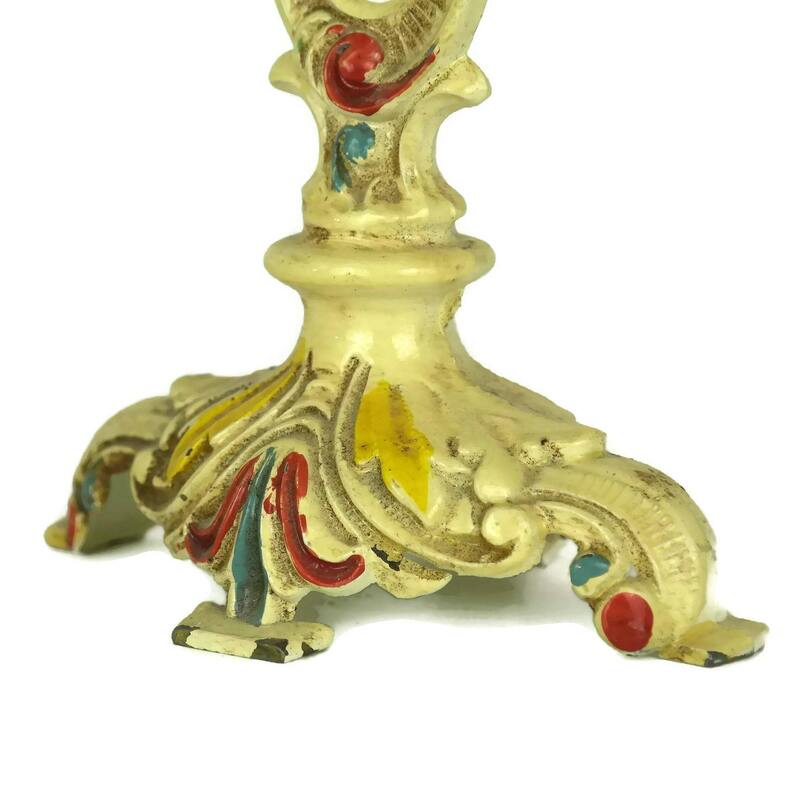 10 Tall x 10" Wide (25 cm x 25 cm). 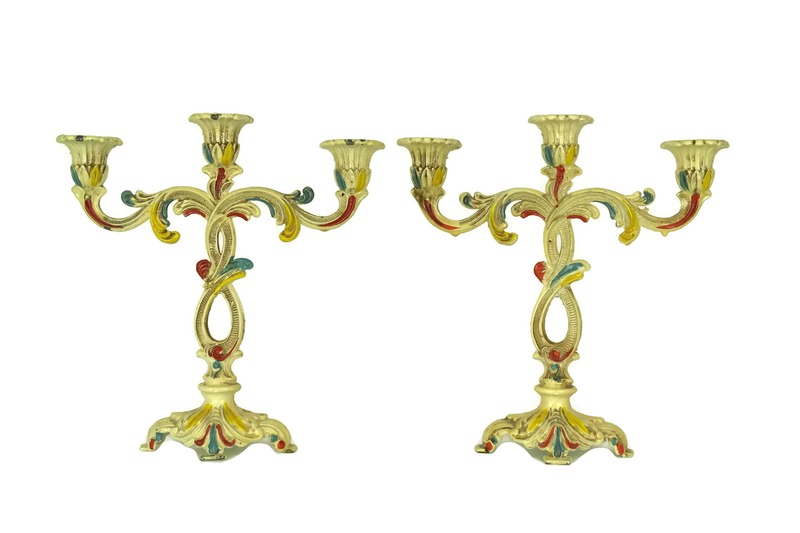 They hold candles with a diameter of 20 mm. 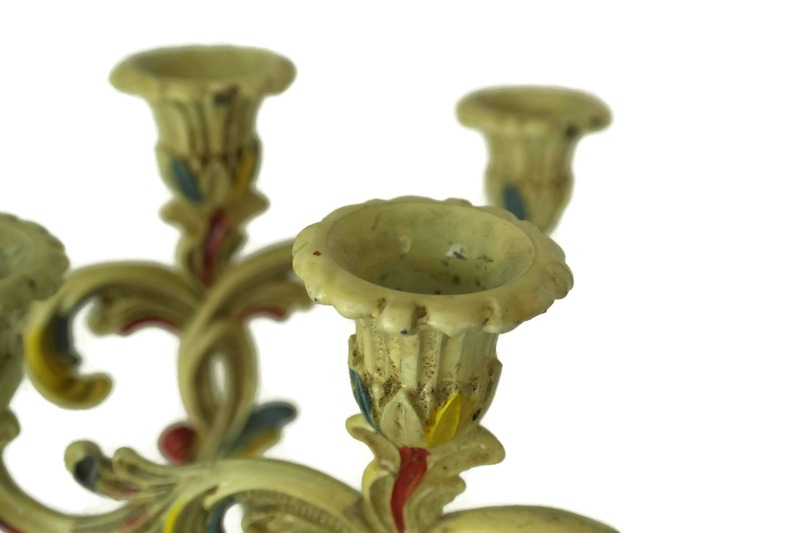 The vintage candelabra are in very good antique condition with light wear including patina and small flakes to the enamel in places.